The numbers are in on Fox’s Pizza Den’s fundraiser for Chet F. Harritt School on Wednesday, February 9. Thanks to all of the families, couples, and individuals who came in for lunch and dinner, Fox’s was able to donate $213 to the school to use as they need. Now $213 may not sound like a lot, but if you figure an average order of say $20-$25, that turns out to be quite a few pizzas. I stopped by Fox’s around dinner time and they were quite busy. The dining area was nearly full and there were families waiting for take-out orders. It’s always good to see a local business so busy, especially when they are helping local schools. But more than this, with the economy still moving slowly it’s important to support those businesses so that they will be around for the long haul. 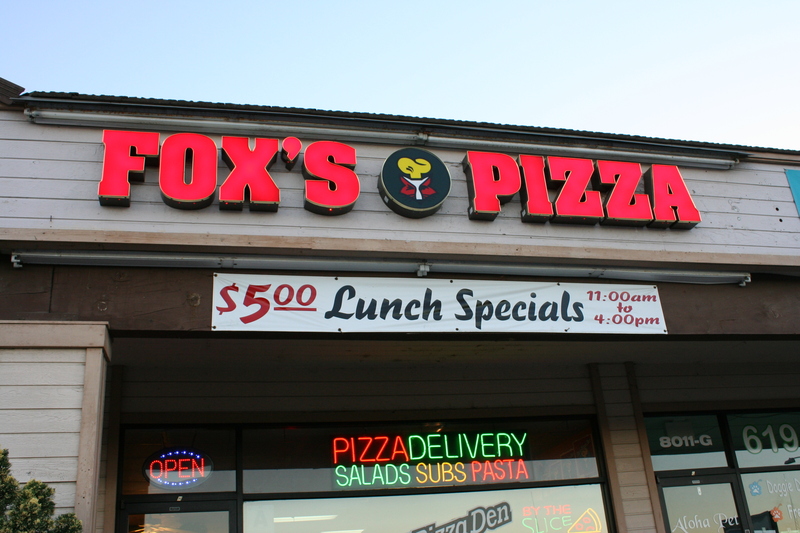 So a big “Thank You” to Fox’s Pizza Den for supporting Santee Schools. And another “Thank You” to everyone who came out to help by ordering. If you like pizza and you support Santee Schools, then Wednesday is your day. 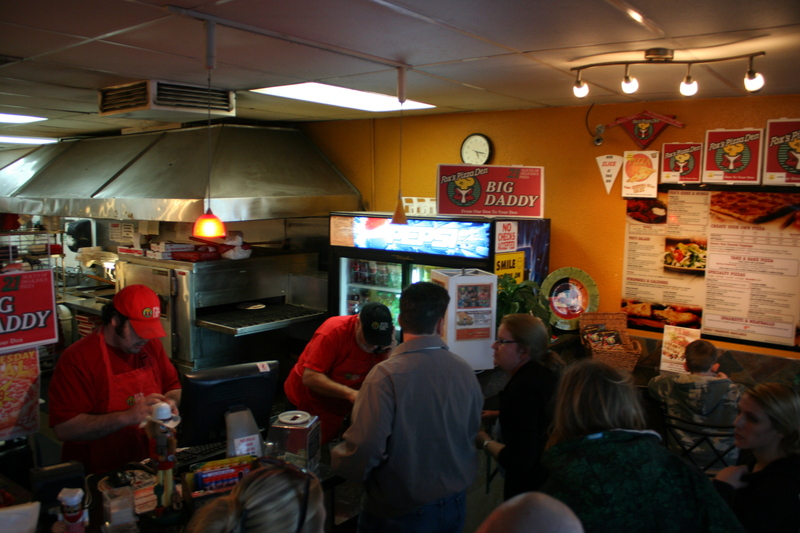 Fox’s Pizza Den at 8011 Mission Gorge Rd. is having a fundraiser for their partner Chet F. Harritt School from noon until they close. 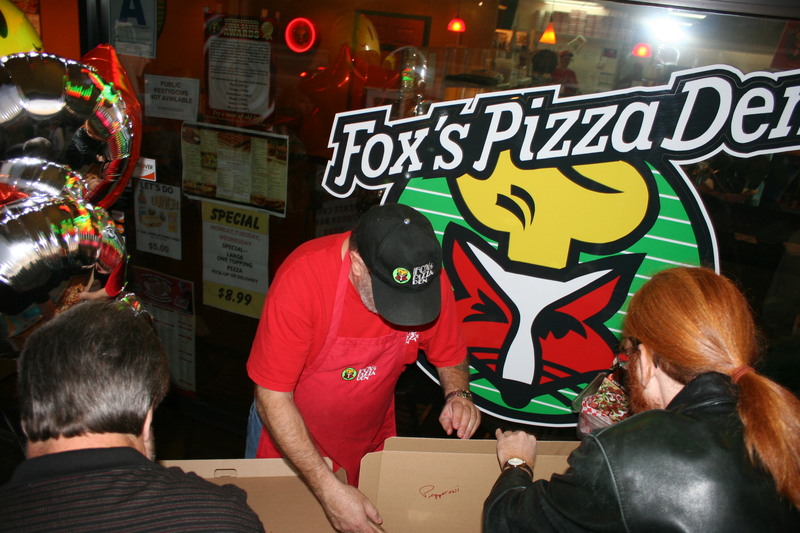 Fox’s will donate 20% of all proceeds from both dine-in and take-out orders to support the school. 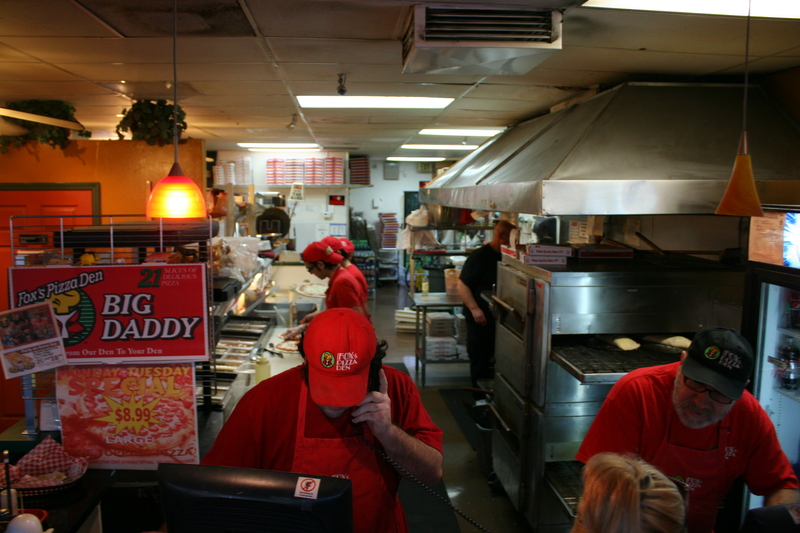 If you want to call in your order to 619-749-4165, just be sure to tell them you heard about the fundraiser and want to do your part to help. With the still-struggling economy and lower home values, money is tight all around – especially for schools. Chet F. Harritt School does a wonderful job with the resources they get but any extra always helps. Plus you will also be helping one of our local restaurants that has been around for many years. Just since January 1 we have lost at least three area eateries and we don’t want any more to go the way of La Salsa, Cold Stone, and Panda Garden. So come on out on Wednesday, February 9, and help out the community. Thanks to Joe at Fox’s Pizza Den for correcting the originally incorrect phone number.